Cartoon brainiac Genndy Tartakovsky revitalized American animation with anime-inspired knockouts like Samurai Jack and Star Wars: The Clone Wars. Now he’s crashing mecha convention with Sym-Bionic Titan, premiering at 8 p.m. Friday on Cartoon Network. Tartakovksy’s Sym-Bionic Titan is another masterful hybrid of international animation styles and substances that, like his acclaimed former series, appeals broadly across demographics. Its sci-fi story of three aliens — plucky princess Ilana, her soldier protector Lance and their level-headed cyborg Octus — hiding out in Illinois from space mutants sounds like child’s play. 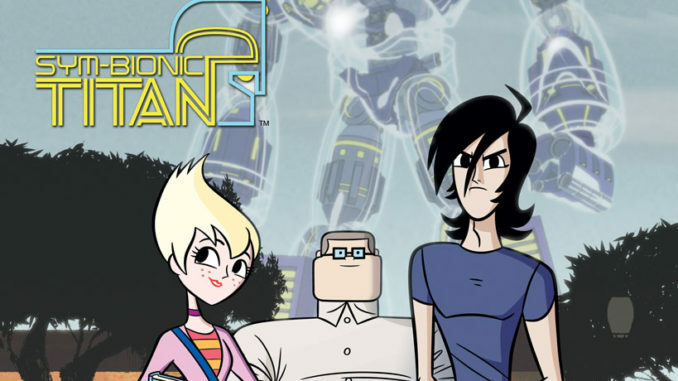 But once they attract intergalactic assassins to Earth, Sym-Bionic Titan instantly transforms into an adult-oriented intergalactic smackdown that levels everything from skyscrapers to military battalions in its action-packed path. We chatted with Tartakovksy about Sym-Bionic Titan’s mecha mayhem, anime classics, demographic discrimination, working with J.J. Abrams on the Samurai Jack feature film and when Tartakovksy might finally direct his own silver-screen blockbuster. Chemical Catastrophe, Coming Right Up!